As we gear up for the holidays, a lot of us find ourselves with long to-do list and limited time--and kids happy to be home from school but getting a little stir-crazy (or maybe just making us feel crazy). Here are a few ideas for keeping them busy so you can go about menu-prepping, wishlist-filling, and, hopefully, doing some crafting of your own. 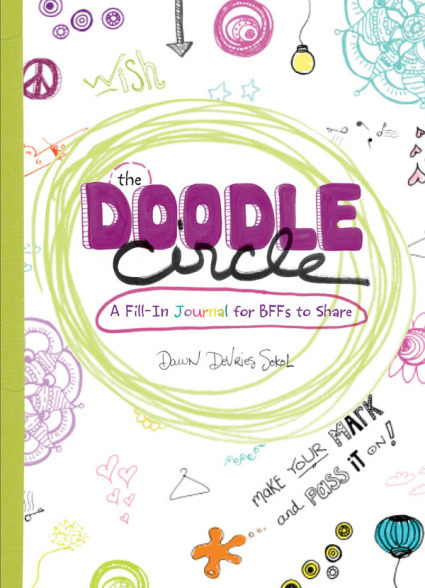 Keep tweens and their friends busy with activities from The Doodle Circle by Dawn DeVries Sokol. Specicially geared towards teaching younger learners, check out some projects from Kids Crochet by Kelli Ronci. Here's a fun holiday snow globe you can make with young DIYers from The Bust DIY Guide to Life by Debbie Stoller and Laurie Henzel. Do you have other fun tips and ideas for keeping kids busy (or fun projects you can make with them) this season? Share them in the comments!